When it comes to Cape Breton real estate, Harvey Realties Ltd. in Baddeck, Nova Scotia, is a forward thinking boutique style brokerage. Our team of experienced REALTORS® is dedicated to providing loyalty, leadership, experience and knowledge to our buyers and sellers. Working with a collaborative team approach, we strive to maintain an ongoing commitment to serve our Cape Breton communities by engaging in honest and ethical business practices. We embrace the latest tools and technology available to the Cape Breton Real Estate industry to provide our clients with unparalleled customer service. We are committed to exceeding our customers’ expectations, always. We strive to provide a seamless, hassle free real estate experience, and maintain the confidentiality of our clients. Now approaching 50 years of ‘tradition and trust’ on Cape Breton Island, we take pride in our commitment to our clients. We are progressive, passionate and proven. 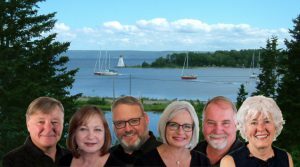 We are looking forward to helping you find that perfect piece of Cape Breton real estate today, so that your family can enjoy tomorrow. Let’s get started!